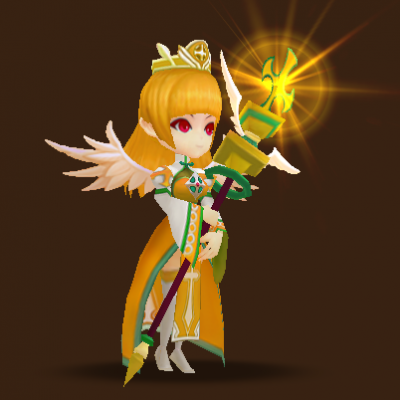 Michelle is one of the best support in summoner’s war. She can heal, she can revive. If only she got higher speed or at least at par with Rina, she is indestructible. Anyway, her base stats and skills are good enough. Her base HP is high enough to at least at par with most of the natural born 5 stars. So what rune is best for her. Well you can use Violent/Revenge with Speed, HP, Resistance. Depends on your preference. If you want to maximize her healing ability, ATK will also work. But HP must be there to make him tankier and use his high HP base stat. So where you can use Michelle? You can use Michelle with almost everywhere. Michelle is useful in toa, arena, giant, dragon, etc. Inflicts damage proportionate to your MAX HP and recovers by 30% of the inflicted damage as HP.